You have many options for your urological care. Your health is too important to trust an anonymous name from an insurance company directory. It is important to recognize that insurance companies rate doctors by how little they do for patients not how well they help you with your urological problems. The Board Certified Urologists at New York Urology Specialists are nationally recognized leaders in urology. We take pride in high-quality, scientific-based urology care that we provide to our patients. That is just one of the many reasons that other doctors don’t just refer patients to us but come to us when they need urological care; likewise, our patients refer their friends and family to us. Because we are an independent practice, we answer only to you. Our patients are the voice of our care. 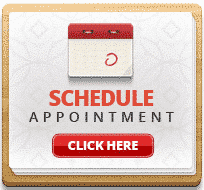 Read REAL Patient testimonials and schedule an appointment with us. If you have any questions, or if you need a second opinion, please contact us. 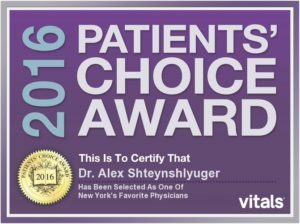 Dr. Alex Shteynshlyuger treats some of the most complex problems in urology. He is experienced in all aspects of medical and surgical care including minimally invasive and robotic surgery. He routinely takes care of some of the most complex patients including those with heart disease who require urological care, diabetic patients, patients with kidney problems, autoimmune disorders, and lung problems who need urological care. He has published numerous articles related to the treatment of complex urological problems. You need a urologist you can trust. When healthcare insiders need a urologist that they can trust, they turn to New York Urology Specialists for urological care. For a good reason – our highly regarded and experienced urological surgeons are Board-Certified and fellowship trained. We specialize in offering care for patients with complex urological problems and those with complicated medical problems who are in need of urological care. While the trend is to institutionalize urological care with more and more urologists becoming hospital employed shift workers, we believe that the value we provide lies in the personal approach to care that is lost in institutional settings. We answer only to our patients. There is no bureaucratic red tape. We are accessible and responsive. Industrialization of medical care works well for simple problems such as administration of flu vaccine. When you have a serious urological care, you want to be cared for by a team of dedicated specialists who are attuned to your individual values and needs. In medicine, information drives decisions. That includes information about you, your needs and preferences. Our physicians are thoughtful innovators who take a scientific, rigorously tested approach to patient care. We innovate based on solid scientific evidence, not fads. Many years before the national guidelines recommended prophylaxis for blood clots in surgical patients, we recognized this as a major issue and implemented aggressive DVT prevention in our care. Many years before the Obama administration stopped paying hospitals for hospital-acquired urinary tract infections we recognized the problem and took measures to limit unnecessary catheterizations. Long before the need for better care for bladder cancer became obvious, we implemented near-universal treatment with BCG maintenance therapy and postoperative mitomycin for patients with bladder cancer who would benefit from these treatments. We optimized care for patients with kidney stones by minimizing the need for surgery and focusing on stone prevention long before more than a few urologists in the country did the same. When you or someone you love is facing a serious urological issue, your choice to call the New York Urology Specialists might make all the difference.